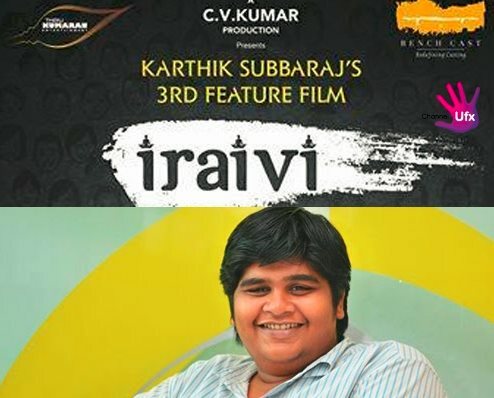 Director Karthick Subburaj of 'Jigarthanda' fame is busy filming for his next upcoming flick 'Iraivi'. The film is progressing in a jet speed where 50% of shooting has been completed. The film is being produced by C.V.Kumar under his Thirukumaran Entertainments. It is the multi starrer with Vijay Sethupathi, S.J.Suriya, Bobby Simha, Anjali and Karunakaran. The source close to the unit has reported that the shooting with S.J.Suriya and Bobby Simha's portion has completed. Now they are going to start the love sequence with Vijay Sethupathi and Anjali who is going to team up for the first time on the screen. Later on Kamilini Mukharjee will join the unit. The makers are planning to release the film in the end of this year. While Sivakumar Vijayan handling the camera and the musical score by Santhosh Narayanan.